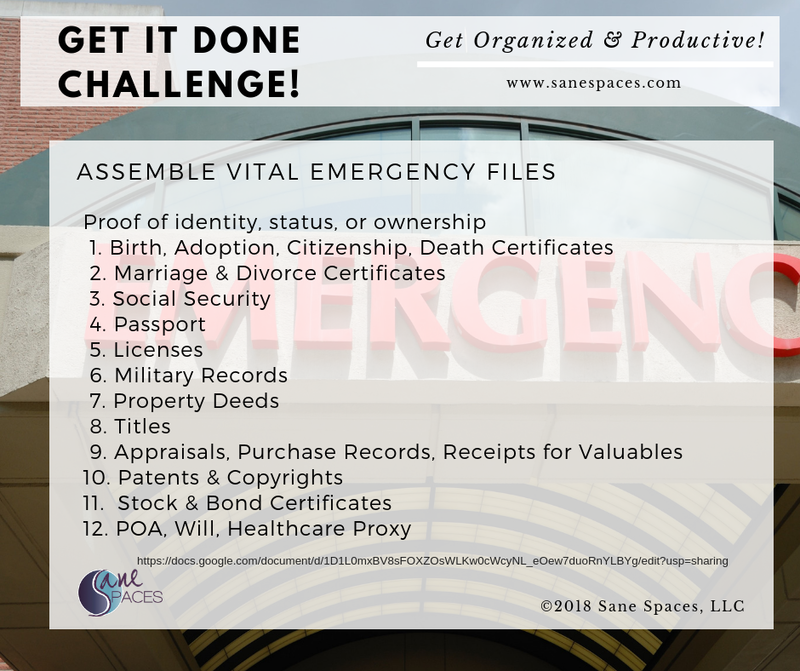 A vital document, record or item is defined by Emergency Preparedness Experts as anything necessary for you or your family to re-establish your identity, life or business if something dramatic or drastic happens. Is it a Legal Record? If I lose this, will it affect me or my family’s ability to move on or live in our current lifestyle? It is a good idea to make a copy or scan of these documents, and store them in a fire-proof box designed for documents. 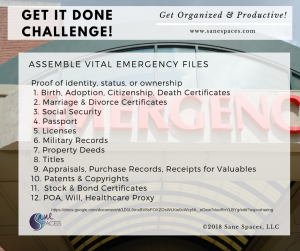 To obtain an accurate, up to date list of necessary vital documents, I suggest the following sources anywherevault.com, freedomfiler.com – each company offers a different product designed to protect and track your vital documents in case of an emergency. The good news is that if you’ve lost important pieces of paper, you can replace them — and it might be easier than you think. Here’s how to replace six of the most important documents in your life. A Social Security card can be required for a number of things, such as applying for a job or enrolling in college. Sometimes you only need the number, but other times you might be asked to produce the card. To replace it, contact your local Social Security office with the following forms of ID: U.S. driver’s license, state-issued, non-driver identification card, U.S. passport.You’ll also need at least one of the following proofs of citizenship: U.S. Birth Certificate, U.S. Passport, U.S. Consular Report, Certificate of Naturalization, or a Certificate of Citizenship. There’s no fee for a replacement card, and you are limited to three replacement cards in a year and 10 during your lifetime. For security reasons, it’s recommended that you go to your local Social Security office in person instead of mailing in the application and ID document. You’ll also need to bring identification and proof of citizenship. For more info see the list for Social Security replacement above. The list contains acceptable forms of proof. Additionally, you’ll need two passport photos. Renewing an adult passport costs $140. If you need the passport in less than two weeks for an upcoming trip, contact the National Passport Information Center to make an appointment at a local passport agency. Contact the attorney who handled the closing to obtain a copy. Call the county clerk’s office, where deeds are typically recorded. Hire a title company to search for it. The first two methods are inexpensive and only require photocopies. If you chose to hire a title company, it may run $100-$150, but will likely yield a more complete search. You’ll also need proof of ownership, such as your license plate number and vehicle identification number or your vehicle registration. This is a really simple thing to do, and most people DO NOT do it. Some day in the near future – take your cards out of your wallet. Then all you need to do is assemble your license, cards, voter registration, and other types of ID onto the screen of your printer in an 8 1/2 x 11″ shape. Close the lid and run a color copy. THEN, turn each card over, and run another copy. Date the hard copy and put it in a safe place. If your printer can scan to pdf, you can put that into a safe repository so you can get to it anywhere. I did this once and I can’t tell you how often I’ve referred to it! Once all of your wallet contents are assembled into a scannable doc, you’ll never panic if you lose them in the future. It is simple to make copies and scan your vital documents, and it’s a great idea just in case. If you don’t have a home printer/scanner, take the time to gather your important items. Once assembled, you can make color copies at a local print store. Be sure to include the front and back of each document, including everything in your wallet. It is a good idea to make a copy or scan of these documents, and store them in a fire-proof box designed for documents. Or click on this file link below.